The Pony Express delivery service may be the first thing that pops to mind whenever someone thinks about the mail system in the Wild West era, or about the establishment and rise of the California State. The horseback mailing system (or, according to the name), the pony-back mailing system created in 1860 managed to greatly reduce the delivery times for packages transported between the Atlantic and the Pacific coasts. In short, the Pony Express delivery system managed to effectively strengthen the ties between the East and the more isolated West of the emergent United States of those times, helping the West develop and contributing to a less fragmented country. Many states, especially the State of California which was rather new at the time, owe their rate of development and build-up from the last few decades of the 1800s to the pioneering work of Pony Express delivery. The company managed to reduce the delivery times between the two coasts to only 10 days, which was a great development for those times. Pony Express, as it was informally named, was a company operating under the official name of Leavonworth and Pike’s Peak Express Company, later changed to Central Overland California and Pike’s Peak Express Company. It was founded on April 3rd 1860 by three visionaries named Russel, Majors and Waddell, and only functioned under its initial name for 19 full months, but those months set the standard for all future mail operations henceforth. Not only they managed to reduce the delivery times between the two American coasts to 10 days during this 19 month period, but they also established themselves as the most direct means of communication between the East and the West, because the telegraph wasn’t yet part of the scenery. In October 1961, at the end of the aforementioned 19 months, the company went bankrupt due to a series of unfortunate circumstances such as the outbreak of the Civil War, the Army not paying the three founders their contracts on time and some trouble with Indian attacks (especially the Palute Wars on the Pony Express Stations). Eventually, the company ended its operations in 1962, after being bought by Ben Holladay, but the ground had already been set for the rise of all the mail delivery systems which followed from thereon. The fame of the Pony Express delivery service is closely tied to that of the Wild West legends, and there are many legacies and remembrances today that continue to honor that legacy, from post stamps to replica insignias, memorabilia, and various apparitions in shows, movies and so on. 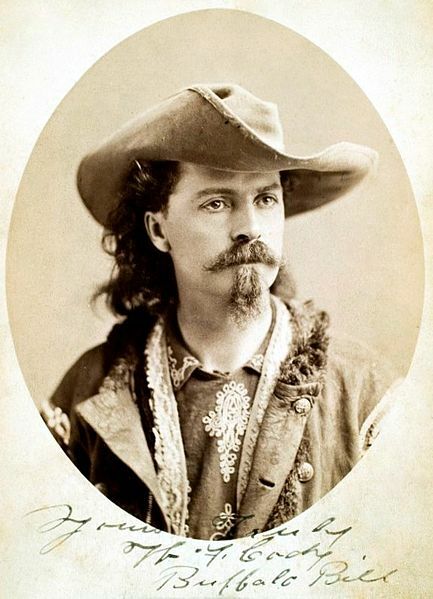 Some of the things that contributed the most to the remembrance of The Pony Express delivery service is the Buffalo Bill Cody biographies and the Wild West Shows. 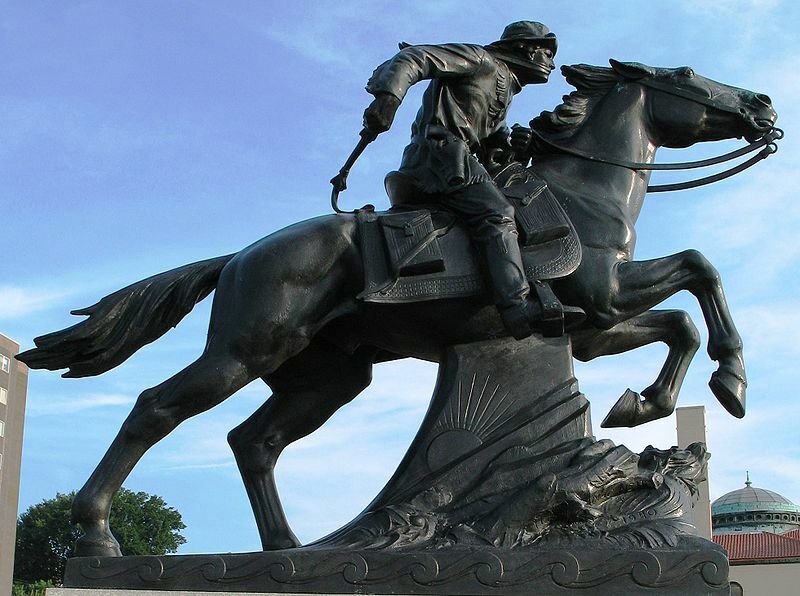 This can give anyone a good measure of how heroic all of the Pony Express riders were, but a handful of them became famous for truly being the stuff of legends. Among these famous names we could mention are Johnny Fry, Billy Richardson, James Randall (the first eastbound rider, setting out from San Francisco), William Cody (also better known as the legendary Buffalo Bill, once completing a distance of 322 miles in 21 hours and 40 minutes upon finding out that his relief rider had been killed in one of the most dangerous sections of the road), Robert Haslam (completing a ride of 120 miles in 8 hours and 20 minutes to carry Lincoln’s inaugural address, a ride he completed while also shot through the jaw by an Indian arrow), Jack Keetley, or Billy Tate. The Pony Express received its own doodle from Google on its 155th anniversary, on April 14th 2015, and has been featured in several films and TV shows, often as a central focus of the story. The company’s activity was also witnessed by Mark Twain and described in some of his work, and the general impact that the Pony Express delivery mail system has had on the American culture is unquantifiable. Today, there is also a restaurant bearing the name of Pony Express delivery, as a tribute to the legendary company. To find out more about it and perhaps schedule a visit, just search Google for Pony Express delivery Eugene (the restaurant is in Eugene, Oregon). Hey Buddy!, I found this information for you: "Pony Express Delivery: a Legendary Mail Service on Horseback". Here is the website link: https://all2door.com/pony-express-delivery/. Thank you.